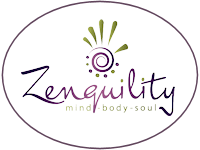 Tag Archives for " zenquility "
Discover the scientific explanation behind why you feel better when you meditate with crystals. Want A Great 2017? Do This Now! The week between Christmas and New Year. Is it quieter for you? Or are you busy with family activities, but you’ve got more slack in your schedule? Do you have time to carve out a few moments for reflection? “Sales” isn’t a dirty word; it’s one of the most important steps in your client’s healing journey. Are you helping them take it?